Before you publish your site, make sure your online store is ready to receive orders. All you need to do is add at least one product to your store — basic payment and shipping methods are set automatically. The online store is only available in the Online Store plan. Note: If this is your first time using GoCentral's Online Store, you will need to Set up my site before adding any products. If you haven't already, you'll need to Add products. Make any other site changes you need. Your changes are saved automatically so when you're finished, click Preview to see the results, and, if you like, Change my website's domain address. Note: With your Online Store plan, once your site is published, any data transmitted from it will be encrypted using a SSL (Secure Sockets Layer) certificate. 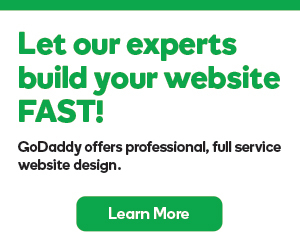 This works only for GoDaddy managed domains, not third-party (external) domains.